Sometimes you are working on a project, and you want to save your settings on a current object so that you can re-apply them at a later time. This can get tricky with Animation Curves. 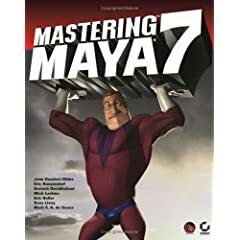 There is a command that is not documented in the Maya help that can be very useful for recreating animation curves and their keyframes. Check back soon, and I’ll explain more about it. A Set Driven Key is a powerful tool for a TD. It’s a simple concept, but when I was first learning about it, I got confused by the GUI that maya used to create them. I found later that it was much easier to use MEL to script the creation of a Set Driven Key. ObjectB will get all the deformations of ObejctA. However, the translations, rotations, and scales of the two objects remains seperate. It’s up to you to figure out what to do with this bit of knowledge. One problem I have had with using Clusters in Maya is that if you parent them into the rig then you get a double transform on the vertices in the Cluster. But here is a solution I learned today. This will connect cluster1Handle.parentInverseMatrix to cluster1.bindPreMatrix. 3. Group the Cluster and then parent it into the rig. The cluster will now follow the rig, without double transforming.